Bloomberg L.P. was founded by Michael Bloomberg in 1981. Today, Bloomberg News has 19,000 employees in 192 locations around the world and shares 5,000 stories a day in more than 120 countries. This article was written by Michael Kavanagh, Thomas Wilson (Kinshasa reporter) and Franz Wild (London reporter). The reporting was funded in part by the Pulitzer Center on Crisis Reporting and in part by New York University’s Congo Research Group. En 2001, Joseph Kabila succède à son père à la présidence de la République Démocratique du Congo (RDC). Ce pays situé au cœur du continent africain dispose de ressources naturelles stratégiques qui n’ont jusque-là pas permis d’améliorer les conditions de vie de ses populations, meurtries par ailleurs par des conflits violents récurrents dans plusieurs provinces. En 2017, la situation politique est à nouveau tendue en raison de l’incertitude qui entoure la tenue d’une élection présidentielle et le départ effectif du président actuel au terme de ses deux mandats constitutionnels. Ce long article de Bloomberg est le fruit d’enquêtes, d’interviews et de consultations de documents sur le degré d’implication de la famille présidentielle dans l’économie congolaise. L’article révèle que les membres de la famille Kabila détiennent des intérêts dans plus de 70 entreprises dans le pays. Les secteurs d’activité concernés vont des banques à la distribution des hydrocarbures en passant par l’industrie pharmaceutique et les mines. L’enquête montre par exemple que l’épouse du président, ses deux enfants et huit autres parents proches détiennent plus de 120 permis d’exploitation d’or, de diamants, de cobalt, de cuivre et d’autres minéraux. Il explique aussi que la sœur du président contrôle 40 % de la filiale congolaise du groupe bancaire BGFI du Gabon. WATHI a choisi d’attirer l’attention sur cet article de presse parce qu’il montre, avec précision, l’organisation mise en place par une famille qui, jouissant d’une position privilégiée et stratégique au sommet d’un Etat, a pris le contrôle de pans entiers de l’économie. Au-delà du cas de la RDC, cet article invite à examiner de près les nouvelles formes d’utilisation de fonctions publiques à des fins d’enrichissement privé dans les pays africains, qui sont plus discrètes que les détournements de fonds publics et ne sont pas toujours des violations flagrantes des lois tout en ayant des conséquences graves et durables sur les inégalités économiques et sociales. Le contrôle des leviers économiques par des groupes de personnes très proches des pouvoirs politiques en place et les conflits d’intérêt multiples caractérisent le fonctionnement réel de nombreux Etats africains. L’absence de transparence qui entoure l’attribution de contrats, de permis d’exploitation de ressources naturelles et de multiples avantages à des acteurs économiques bénéficiant de relations personnelles avec les gouvernants, affecte grandement toute ambition de progrès collectif. Parce qu’il révèle la forte implication de la famille Kabila dans les secteurs clés de l’économie de son pays, l’article de Bloomberg pose aussi la question de l’impact que peut avoir l’importance des privilèges économiques et financiers de la famille présidentielle sur la volonté de conservation du pouvoir au risque de remettre en cause la stabilité et la sécurité d’un pays extrêmement fragile. 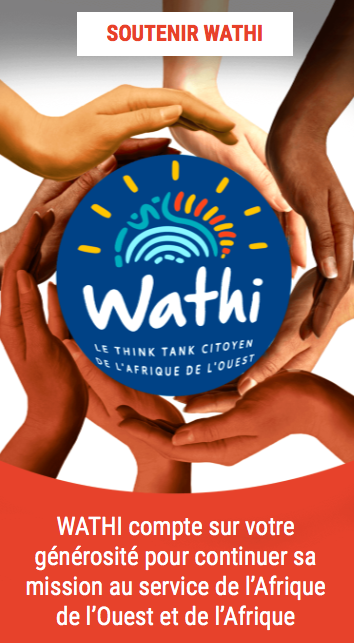 Dans les pays d’Afrique de l’Ouest et dans d’autres pays d’Afrique centrale, on peut soupçonner l’existence de mécanismes similaires ou proches qui nourrissent le sentiment d’injustice et des frustrations dangereuses. L’article montre l’importance pour les sociétés civiles africaines de s’intéresser davantage aux mécanismes de prise de contrôle des économies par des acteurs très liés au pouvoir politique et de réclamer des lois plus strictes sur les conflits d’intérêts à fin de limiter le risque que des proches parents des chefs d’Etat ne prennent le contrôle de secteurs stratégiques de l’économie, du simple fait de leurs relations personnelles. Dans l’objectif de la lutte contre toutes les formes de corruption, la focalisation sur les conflits d’intérêt au sommet des Etats devrait devenir une priorité. His (Joseph Kabila’s) presidency had brought peace and economic growth to Congo, the 45-year-old said, outlining reforms he’d made in telecommunications, mining, energy and banking. What he didn’t say is how some of his own family members are among the biggest beneficiaries of those changes—including his sister Jaynet and brother Zoe, who both listened from the front row as elected members of parliament. Together the Kabilas have built a network of businesses that reaches into every corner of Congo’s economy and has brought hundreds of millions of dollars to the family, a Bloomberg News investigation has found. The sprawling network may help explain why the president is ignoring pleas by the U.S., the European Union and a majority of the Congolese people to hand over power next week, though his advisers dispute this. Since then, foreign investment has helped generate more than 100,000 jobs in mining and oil alone, tripled the size of the economy—and allowed the family’s empire to flourish. Over that period, Kabila and his siblings have assembled an international business network stretching across at least 70 companies, according to a Bloomberg News analysis of thousands of company documents and court filings as well as dozens of interviews with bankers, businessmen, miners, farmers and former government officials. While Congolese law doesn’t prohibit politicians or their families from having business interests, the scope of that empire has only recently become visible, in publicly available corporate and government records that Congolese regulators have computerized and made searchable in just the past few years. Bloomberg News, with support from the Pulitzer Center on Crisis Reporting, traced the Kabilas’ interests by amassing an archive of hundreds of thousands of pages of corporate documents that shows his wife, two children and eight of his siblings control more than 120 permits to dig gold, diamonds, copper, cobalt and other minerals. Two of the family’s businesses alone own diamond permits that stretch more than 450 miles across Congo’s southwestern border with Angola. Family members also have stakes in banks, farms, fuel distributors, airline operators, a road builder, hotels, a pharmaceutical supplier, travel agencies, boutiques and nightclubs. Another venture even tried to launch a rat into space on a rocket. In Congo’s largely informal, cash-based economy where the family stakes are almost all in privately held companies, the exact value of the businesses isn’t known. The few figures available in publicly accessible documents show investments worth more than $30 million in just two companies. Estimated revenue for another company exceeds $350 million over four years—in a country where World Bank data show that nearly two-thirds of the 77 million people live on less than $1.90 per day. While some of the businesses are owned directly, the family also has dozens of joint ventures and shell corporations through which it holds stakes to varying degrees in all manner of industries. That creates a system so pervasive that even seemingly innocuous payments—such as rent paid by the UN for a police station—end up finding their way to the Kabila family, an analysis of the network shows. It can be a ham-handed operation: Perhaps in its eagerness to tap the country’s resource wealth, the family has sometimes driven away outside investment that would have made some of its members even more money. Kabila’s second term as president ends on Dec. 19, and the constitution bars him from running again. But the country’s electoral commission has delayed elections until at least April 2018, and a constitutional court that Kabila created last year has ruled he should stay on until a vote is held. 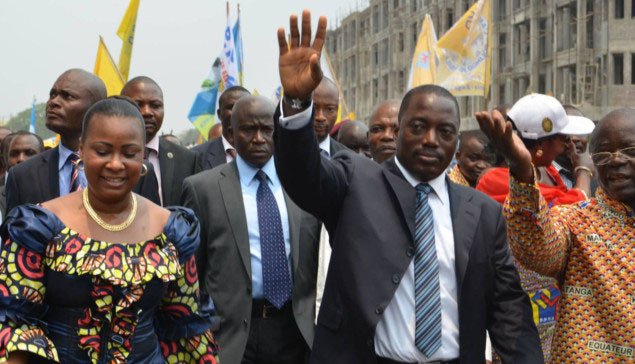 Since then, the Kabila family’s businesses have grown with Congo’s developing economy. And they now enjoy a perk of presidential power: the protection of the Republican Guard, an elite army unit that is supposed to protect Kabila himself. Many of the companies are run by Jaynet, Joseph Kabila’s twin sister. After their father’s death, documents show, she set up companies across Congo, as well as in the U.S., Panama, Tanzania and on the South Pacific island of Niue. Company filings show she is or has been a shareholder or director in at least 28 companies. In some, she controlled a majority of shares while in others she held minority stakes, the filings show. It’s unclear how many of those companies are still active. The lack of transparency in some of the family’s dealings has hurt Congo’s economy. In 2012, the International Monetary Fund cut its half-billion dollar loan program with Congo after the government declined to publish contracts related to a 2011 deal for a copper mine known as Comide. One of the companies involved in the deal, Goma Mining, was at least 10 percent owned by the family and chaired by Kabila’s sister, Josephine, according to court records from 2013. Many of the companies are run by Jaynet, Joseph Kabila’s twin sister. The family’s involvement in mining—diamonds, cobalt and copper—comes in part through a company called Acacia, which was majority-owned by Jaynet; younger brother Masengo; Joseph Kabila’s 16-year-old daughter, Sifa; and his financial assistant, Emmanuel Adrupiako, based on corporate records from September 2014. In the Congolese capital of Kinshasa, behind the reflecting windows of the BGFI bank, the Kabila family has built its most sophisticated investment: the country branch of a Gabon-based banking group. BGFI in Congo is dominated by the presidential family. When the lender set up in the country in 2010, Kabila’s sister Gloria Mteyu took a 40 percent stake, then worth $10 million, according to company registration documents from that year. Gabon-based Groupe BGFI Bank SA, which has ventures in 11 countries, holds 60 percent. the Kabila family has built its most sophisticated investment: the country branch of a Gabon-based banking group. In 2014, BGFI in Congo recapitalized, raising its share capital to $38 million, and Gloria maintained her 40 percent shareholding, according to corporate records from that year, the most recent available. Last December, the bank had $374 million in assets, making it Congo’s sixth-biggest lender. Gloria also has a stake in a new banking venture via a stake in Kwanza Capital, shareholding records show. BGFI loaned Kwanza $3.45 million in April, according to a term sheet reviewed by Bloomberg. BGFI’s Gabonese parent hired PricewaterhouseCoopers to audit BGFI in 2015. The audit found that the Congolese bank had failed to follow internal controls 19 times and paid middlemen for business without knowing who would ultimately receive the funds. Jean-Jacques Lumumba, head of credit at the bank, found suspicious transactions soon after he started working there in 2014. Lumumba discovered that the nation’s central bank—which isn’t allowed to make commercial loans—had lent a food distribution company $43 million and transferred the money to an account at BGFI. The food company’s incorporation documents show that it’s run by business partners of President Kabila, whose brother Selemani is the bank’s CEO. Lumumba said he confronted Selemani in his boss’s office, where he found him sitting in front of a photo of Kabila and another of Selemani with some of the men involved in the transaction. The audit found that the Congolese bank had failed to follow internal controls 19 times and paid middlemen for business without knowing who would ultimately receive the funds. BGFI said in a statement that it has extended credit to the company but that the central bank never made such a loan. Reached on his mobile phone, Selemani hung up before he could be asked any questions. The central bank and the trading company also said no such loan was made, even though a record of the transfer is reflected in the bank statements that Lumumba, 30, took with him when he later fled Congo with his wife and children.